House at Dempsey Hills - Have You Tried The New Menu Yet? House at Dempsey Hill revamped more than 80 per cent of its six year old menu earlier this year. The ensemble now is a bit more grown up and more elegant, with a focus on familiar comfort enlivened with a dash of quirky flavour. 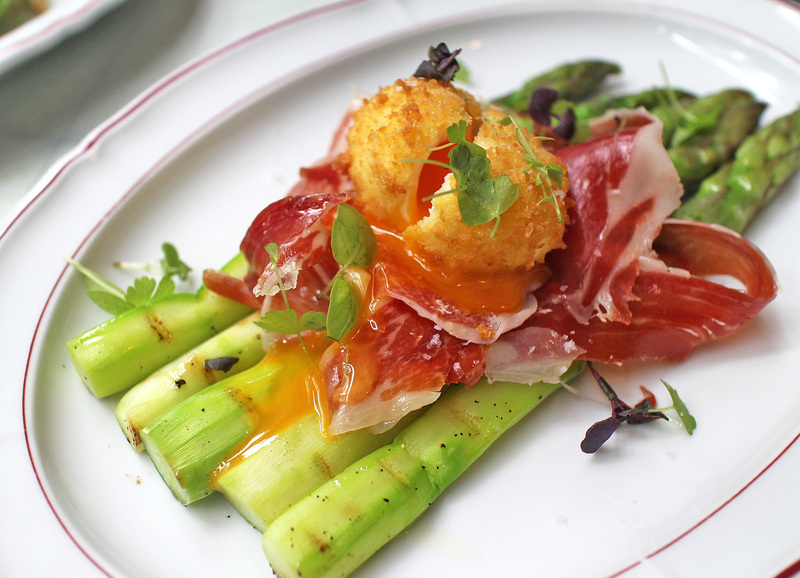 Take for example, the sublime combination of ham, egg and asparagus. They've managed to deep-fry a poached egg in crumbed batter, but the yolk is still molten. Break open the crust and let it all flow over the scrumptious Serrano ham and beautifully grilled shaved asparagus. This kind of breakfast deserves to be enjoyed at all hours. By the way, all photos are taken with the Canon EOS M that the kind folks at Canon lent me to play with. I miss that camera. It almost feels like cheating, not having to lug a heavy DSLR around and still getting decent pictures. My only quibble is that it takes a bit of time to focus, especially in low light settings. Right, now how exciting can a pearl barley salad be? Well, wait til you try House's version. This one is a real surprise discovery, and probably one of my favourite items there now. 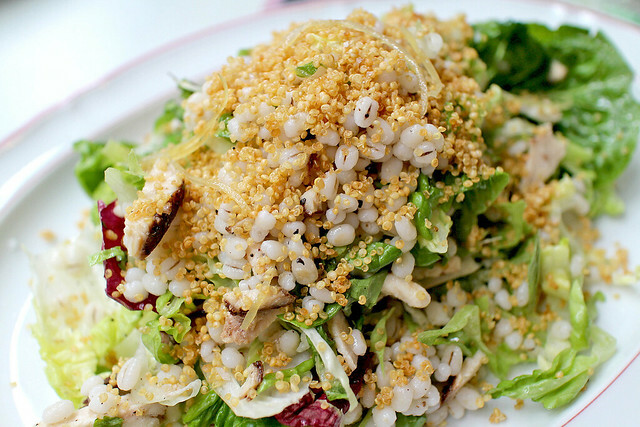 Plump, chewy barley coupled with crisp lettuce greens and sugar snap peas, all tossed together with a herby marjoram vinaigrette and topped with crunchy roasted red quinoa. Wonderful play of textures and flavours. I wish all things healthy could taste this good. There's nothing like the umami aroma of mushrooms. 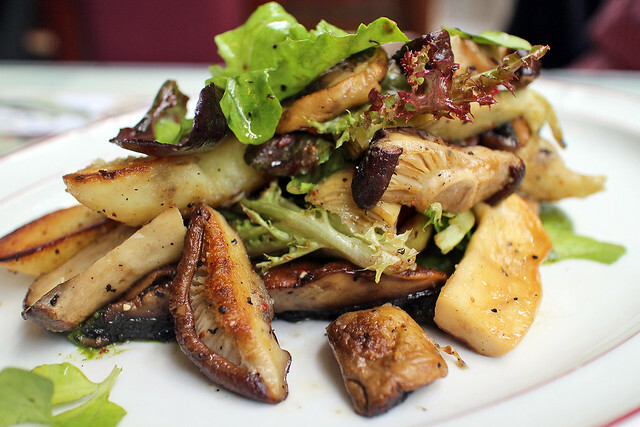 The assortment of grilled mushrooms, fingerling potatoes, globe artichoke and spinach watercress is nice, but I think this dish is a little on the heavy side, oilwise. 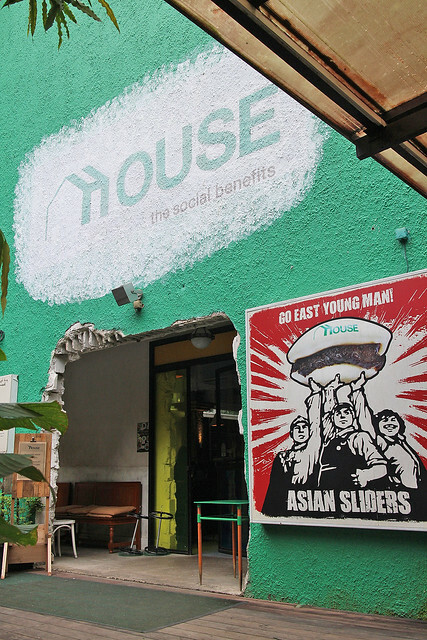 House has amazing fries - and not just potato ones. These continue to remain on the menu, and I hope they do for a long time to come. 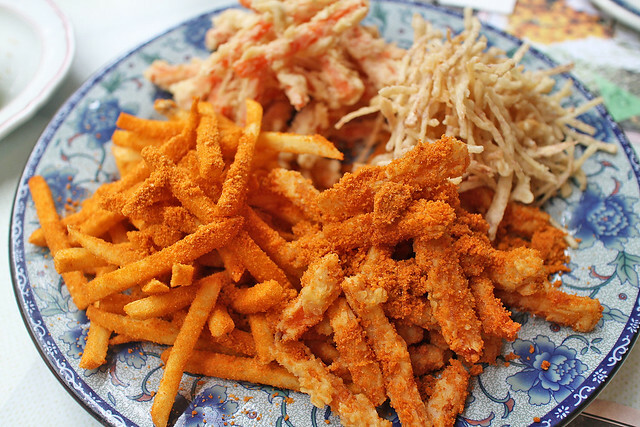 My favourite are the straw-cut taro or yam strips, but everything is addictive. You must have a platter to share. This is awesome. 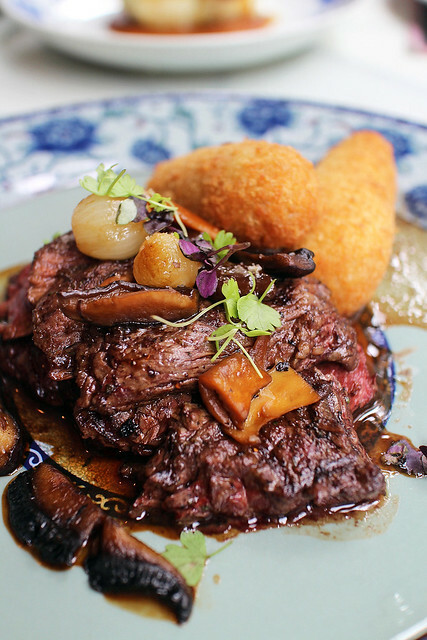 Tender, perfectly seared aromatic beef sitting on a bed of rich mushroom reduction. 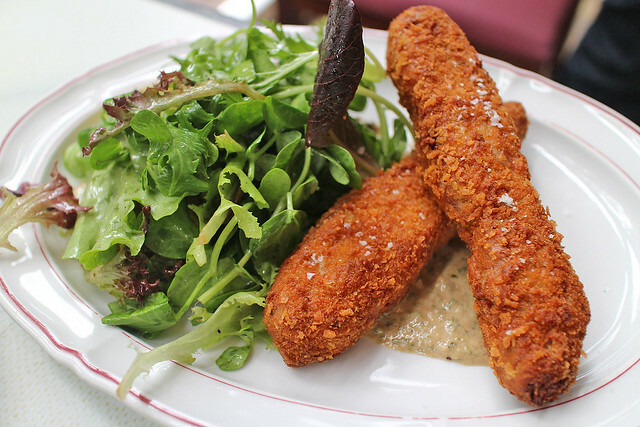 And the croquettes will make you forget about fries for a while. I'd come back for this anytime. This is also very good. Tender, well-marinated lamb breast with a crisp golden crust. Served with a light anchovy mayonnaise with tangy chopped capers. 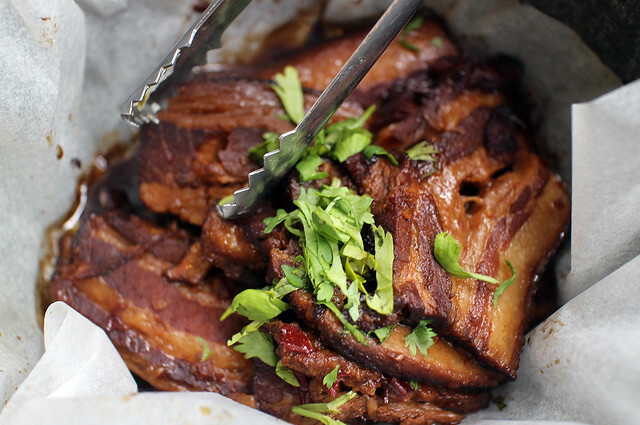 Ahhh...wonderfully braised pork belly. This is from a 20-year old recipe using premium soy sauces, Asian spices and a bit of chili. 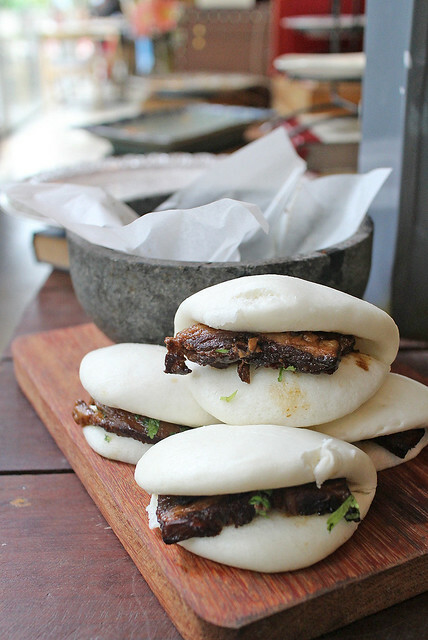 These go into soft, pillowy white steamed buns for the Asian Sliders. One of the perennial favourites that stays on the menu. Sure it's basically kong bak pau, but what lovely paus these are! This is a rather sweet Asian-tasting dish. 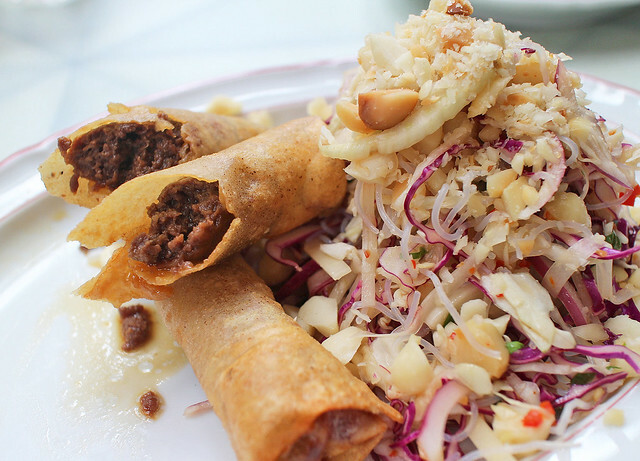 Wagyu marinated with maple and soy, rolled in a popiah skin and fried till golden. Paired with the fresh green papaya salad. 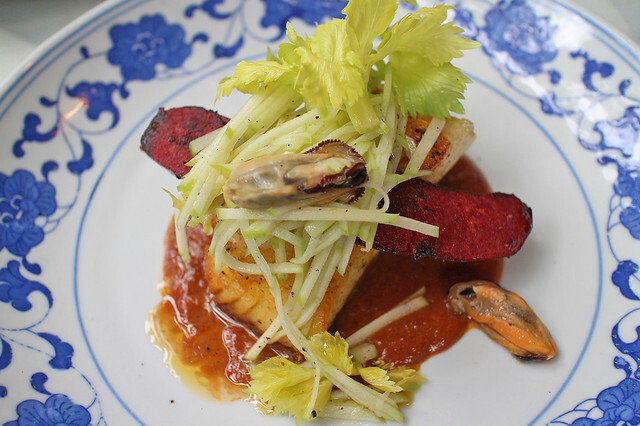 Turmeric roasted cod fish with a sweet date sauce and seared spicy chorizo. Comes with a refreshing apple and celery salad. The individual elements here taste nice on their own, but I'm not sure combine well together though. Desserts remain the same. You can check out some in a previous post, which also features their skinny pizzas and drinks. 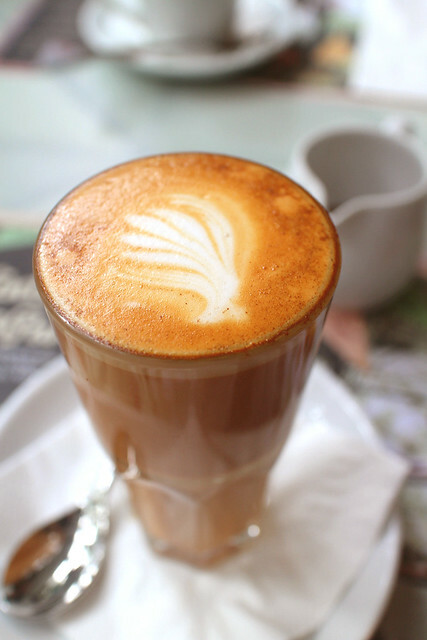 But above all, finish off with one of their excellent coffees (from the same folks who do Forty Hands). The Asian Slider is an interesting item in the menu . The food really looks good. The camera quality is good too, probably I should buy one too.